There are certain artwork that become immortal for their simplicity, display of innocence and the fact which artist they belonged to. 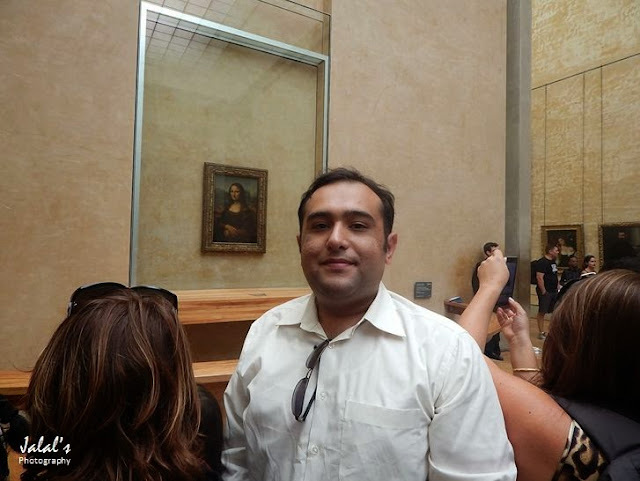 Mona Lisa is one such painting that has been immortalized since it was displayed for public viewing and most of the art lovers visiting Paris' Louvre Museum make it a point to visit the painting galleries to have a glimpse of this masterpiece by Leonardo da Vinci. 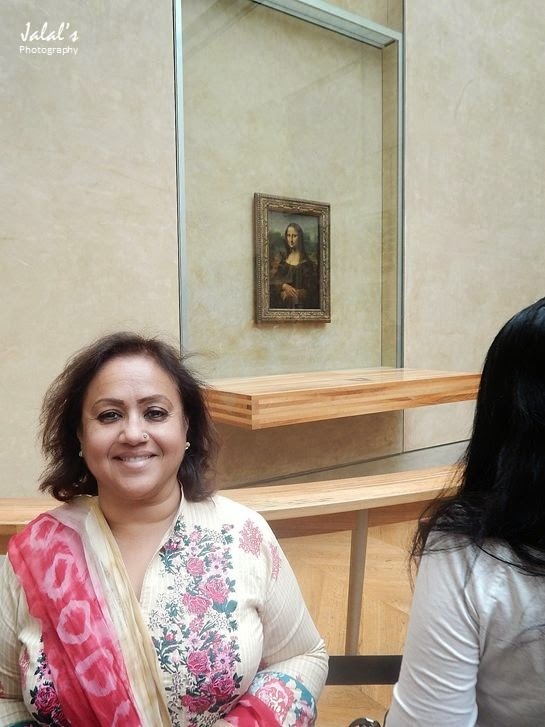 We followed a long hallway studded with paintings of the lesser painters till we finally found the hall which displayed Mona Lisa. 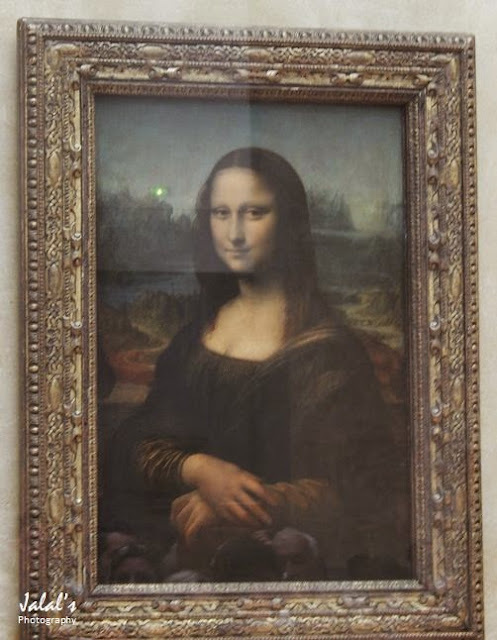 For the first timers, finding Mona Lisa hung on an huge empty wall (as can be seen in the photo below) does not leave much of an impression for the painting as one may have imagined is not big enough as other paintings in the hall. 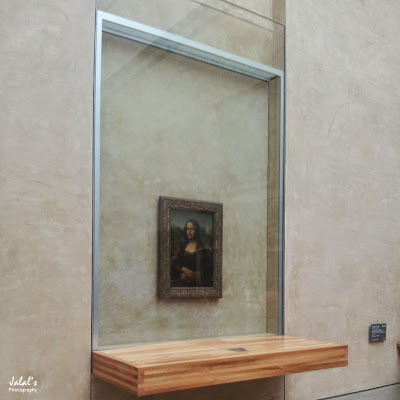 Seeing Mona Lisa displayed as can be seen in the photo above for a time being took away all the enthusiasm I had for the painting since it looked isolated and much smaller than my imagination. 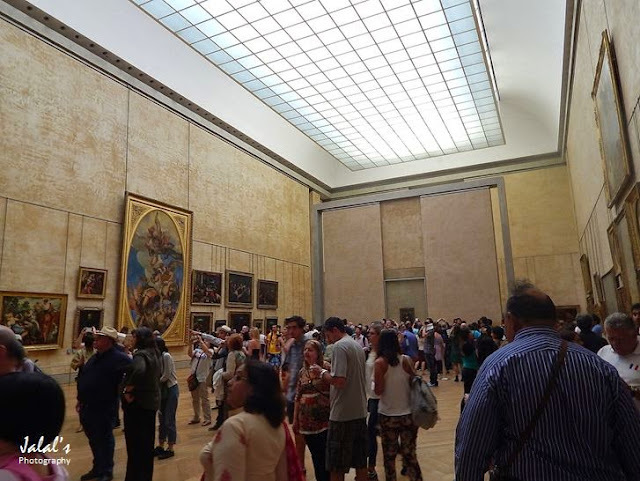 But owing to its popularity the world over, it was swarmed by a large number of tourists from around the world and art lovers. 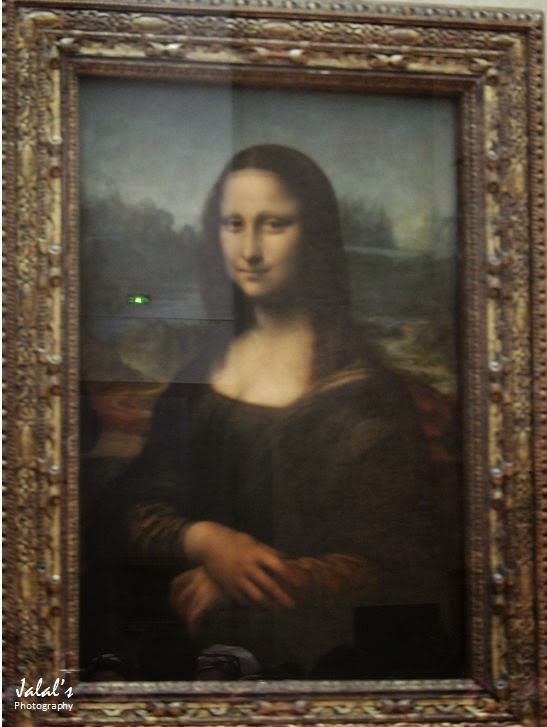 Mona Lisa or La Gioconda, the laughing one, was painted somewhere between 1503–1507. The painting depicts the portrait of a woman, unknown to this day, with an elusive smile - which in fact is the secret behind the fame of this painting. 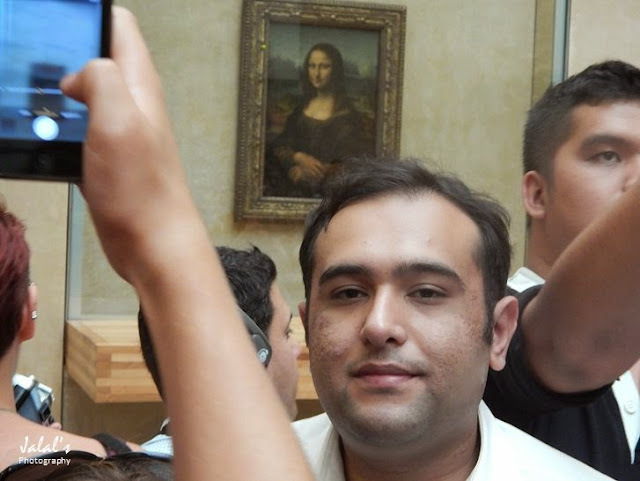 No one knows the reason behind this strange smile, but it certainly made it immortal for times to come. 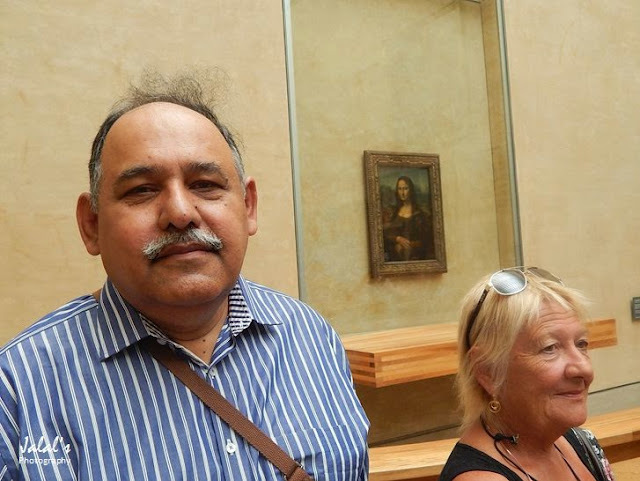 Each year countless art lovers and tourists visit Louvre to see the 'real thing' as did we too. 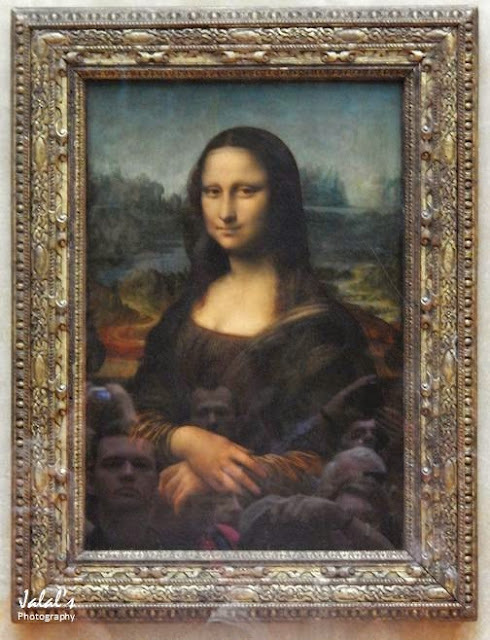 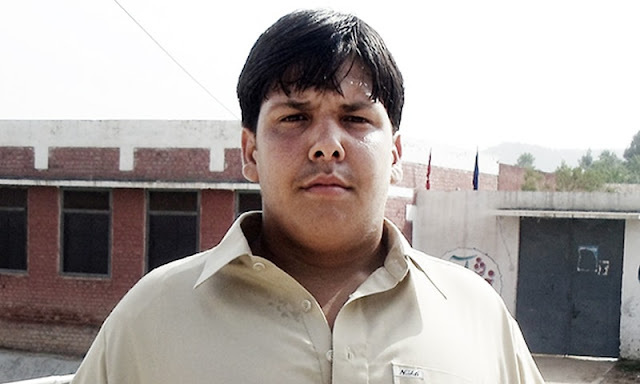 Mona Lisa is a 16th century portrait painted in oil on a poplar panel by da Vinci during the Italian Renaissance. 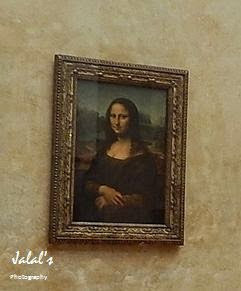 Mona Lisa has been on display at the Louvre since 1797. There has been an effort by Italian campaigners in 2012 calling on the Louvre museum to return Mona Lisa to its home city - Florence, a claim that has been snubbed by Louvre administration. 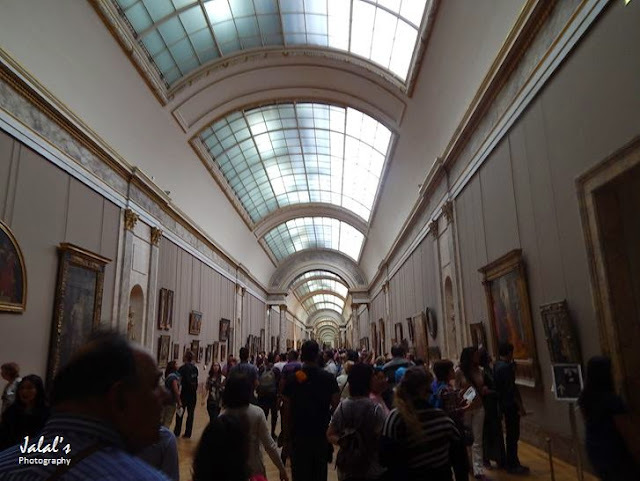 We continued to click till it was time to look at some of the other paintings in the hall.